Facebook is one of the most popular websites for customers to leave reviews for local businesses. 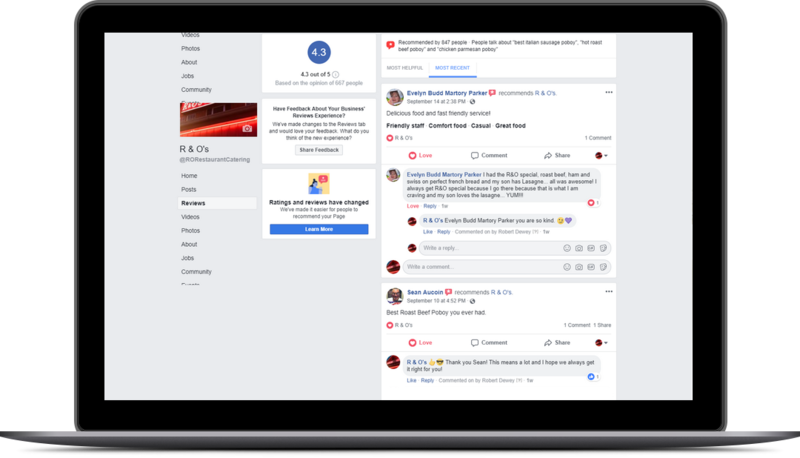 Long reliant on a five-star ratings system, they’ve streamlined the approach with the new recommendations for Facebook business pages. – Review the blog post on Google My Business Customer reviews, usually the biggest source of reviews. Instead of assigning a star rating and writing a review, customers are now faced with a single question: “Do you recommend [business name]?” After answering yes or no, users on Facebook asked to offer comments on what they recommend about the business, or how the business can improve. In theory, Recommendations streamlines the process of leaving reviews and encourages customers to be specific and constructive whether their experience with a business was positive or negative. The move is also beneficial for businesses according to Facebook. Facebook’s star system is visually appealing. However, for customers leaving reviews, the choice between stars creates confusion according to some asking what separates a four-star experience from a five-star experience? The yes-or-no dichotomy posed by Facebook recommendations makes the process clearer. Convenience converts and Facebook believes business should see more reviews on Facebook with the switch to recommendations. And by providing consistently great service, you should see more positive reviews that can bring you more business. Although the process of leaving a review no longer includes the star rating, Facebook business pages will still display a star rating. Your rating is derived from a combination of new recommendations and stars assigned using the former ratings system. Ideally without having to devote as much time to figuring out how to rate the experience, customers can focus on providing thoughtful comments. Prospective customers will still see the stars paying more attention to what users have to say about your business. Because users will be engaging with review content more closely, businesses that focus on managing their online reputation and earning genuine recommendations will have an advantage. Prospective customers can easily spot a false, misleading or obviously purchased review, so businesses will need to encourage actual customers to share their experiences on Facebook. Recommendations appear to users when they search for your business on Facebook. What’s more, recommendations includes a feature that can help businesses highlight positive, sought-after aspects of their services, products and customer experience. This feature is called rich endorsements. When users recommend a business, they can choose from a series of tags representing positive aspects of the experience. Customers who choose not to recommend a business can also select tags embodying what they would improve. It’s new, folks. The social media environment changes all the time. Generally knowing clients when one of our customer has a large number of reviews under either the old Facebook star ratings or Google My Business Reviews those reviews to match our overall perception of the company. The great customer service providers are in the 4’s, those with a little more, shall we say, colorful attitude find themselves in the 3’s with the comments tending to reflect the character of the company. The revised Facebook reviews also buries the malicious reviewer in the sense what they say won’t end up “trending” within the reviews area. For contractors and other businesses generally earning fewer reviews the malicious poster remains an issue. As always the advice Pegasus Ventures really promotes is to answer all reviews. People love to be heard and the bad actor seeing great responses takes the wind out of a malicious review encourages them to go elsewhere. Those folks wanting to “damage” seeing, “I’m so sorry you had this experience how can we help make this right?” realize they look bad if they fail to further elaborate or continue acting the crank.